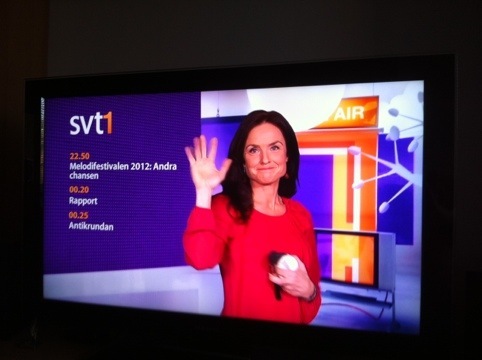 Yesterday was the last day SVT (Swedish Television) had visible TV hosts/hostesses announcing the upcoming programs. Now they will only announce the show with a voice. Here the TV hostess is saying goodbye before leaving the screen.